If you were recently arrested and charged with Simple Assault, Drug Possession, Driving Under the Influence, Unlawful Possession of a Weapon, Terroristic Threats or any other criminal offense in North Hanover, help is available. Criminal charges and serious traffic violations can stir up a great deal of havoc in one’s life and they may require the assistance of an experienced criminal defense litigation attorney. First and foremost, you must come to understand exactly the nature of your charges and what possible outcomes exist. From there, we can begin working with you to craft a defense strategy to fight against your charges. This may require suppression motions, discovery demands, court hearings, witness statements or even a full-blown criminal trial. Whatever the situation requires, the trial attorneys at Proetta & Oliver are ready and able to assist you or your loved one. We have defended the accused throughout New Jersey, including Burlington County. With offices nearby, we are well-situated to handle any North Hanover criminal matter, whether it rests with the Burlington County Superior Court or the North Hanover Municipal Court. If you or a family member have been charged with an indictable felony offense or misdemeanor disorderly persons offense, contact the Burlington County Criminal Defense Lawyers at (609) 850-8284. We are available to consult with you day or night and the initial consultation is at no cost. 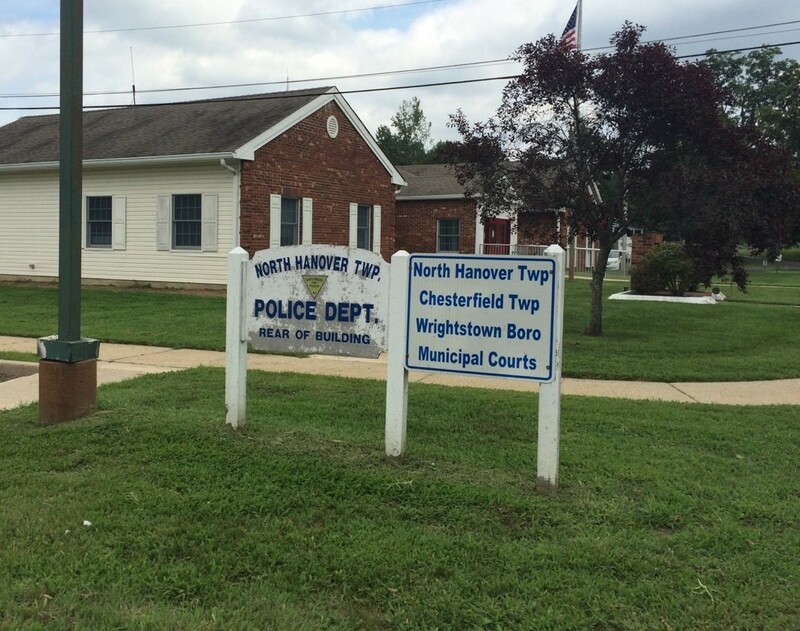 North Hanover Township shares its municipal court services with Chesterfield. This is due to the fact that both towns are fairly small in terms of population. New Hanover is home to roughly 8,000 residents, according to the most recent US census. Located in the north portion of Burlington County, North Hanover encompasses roughly 17 square miles, which include parts of McGuire Air Force Base. In the past 24 months alone, local and state police officers have issued roughly 900 criminal charges and 4,000 traffic and drunk driving violations. What is concerning is that from 2016 to 2017, there was a 60% increase in the number of charges and tickets issued. Clearly, the North Hanover Police have adopted stricter enforcement practices. With major roadways like Jacobstown Road and 537, you can expect that police will remain vigilant of commuter and local traffic. For more information about the North Hanover Township Municipal Court, please visit the township’s website. As a court of limited jurisdiction, North Hanover Municipal Court can only hear non-indictable criminal offenses (disorderly persons and petty disorderly persons offenses) and traffic violations (DWI, Driving While Suspended, Leaving the Scene of an Accident, Speeding, etc.). If you were issued a summons complaint for a disorderly persons offense or petty disorderly persons offense, contact that law offices of Proetta & Oliver. Our team of trial attorneys are available 24/7 and is comprised of former New Jersey Deputy Attorney General, William C. Fay, IV. Allow Mr. Fay to put his experience prosecuting matters for the State of New Jersey to work for you in your pending case. Do not let the court suspended your driver’s license for multiple years or sentence you to a period of incarceration at the Burlington County Jail. Call (609) 850-8284 today and learn what can be done to fight back against your criminal charges.